Last year, I missed several photowalks organized by PhotoWalkGh; mostly because of dates clashing with other events I couldn't miss. I finally got my chance to walk and take photos with this awesome group of people but I nearly missed this one too because I didn't wake up in time(No to partying the Friday night before a photowalk.. no no no..) It was even better because this photowalk was a collaboration between @bloggingghana and @PhotoWalkGH; two organizations I admire a lot. 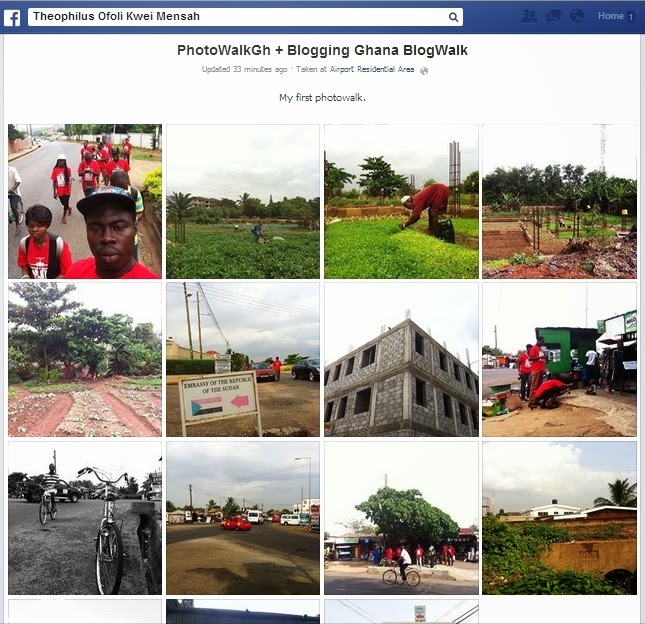 The location for this BlogWalk was the Airport Residential Area of Accra. The task was to take photos and add short blog posts to tell the stories better. I had so much fun; waiting patiently for the next one.